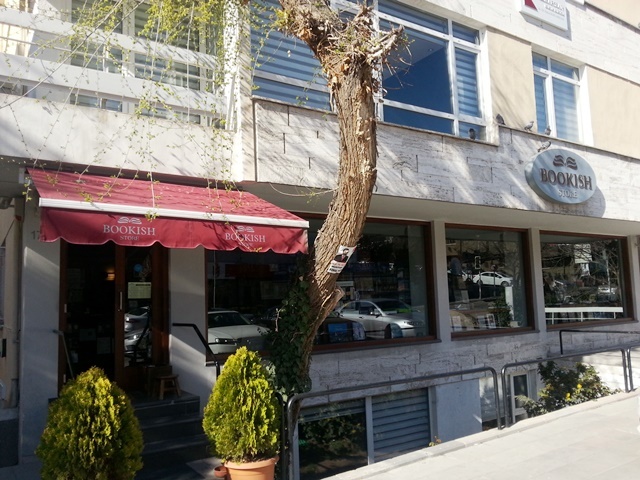 A couple of weeks ago, I was strolling home from Gaziosmanpaşa (GOP) in Ankara, along streets I had never walked, when I came across a fabulous find – BOOKISH Store. Obviously a bookstore, but the English name was intriguing so I made my way inside. 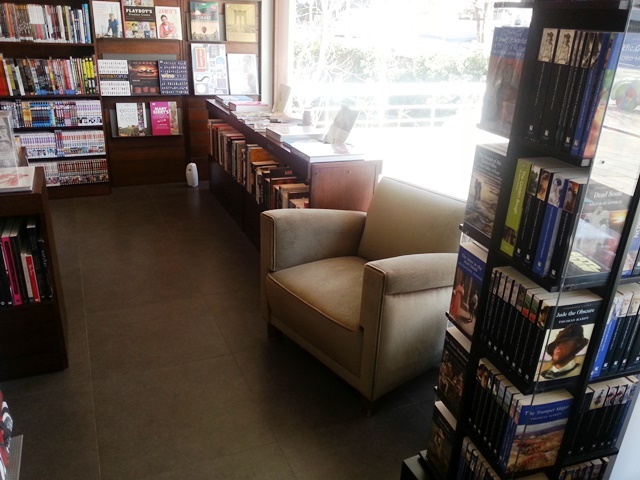 My first impression of BOOKISH was “super cute and cozy”. It was a weekday in the late afternoon so it was not super busy. It was definitely a place where I would want to spend some time – especially in that big chair in the window next to the cookbooks! I headed through the store, past the children’s section, and I started to feel a little strange. 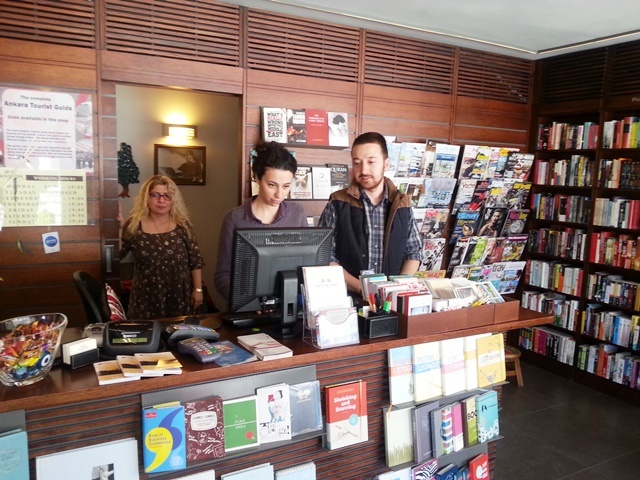 Something was different from other Turkish bookstores. English books were right up front. I continued around the entire store and back to the front counter where I had a chat with the owner, Hülya Ateş, and her staff. 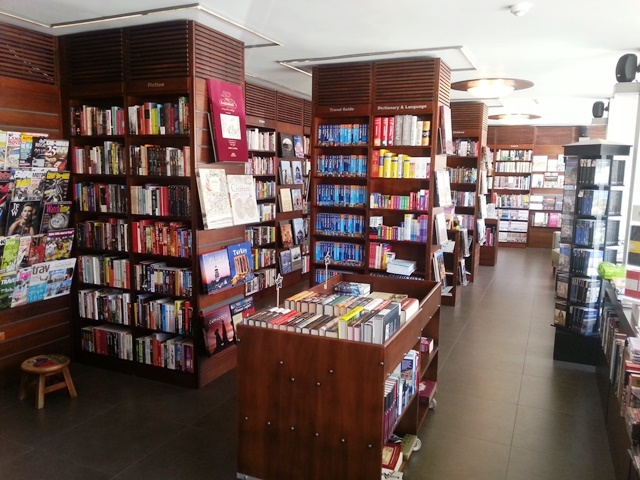 Turns out the entire store is full of English books! Every single title. 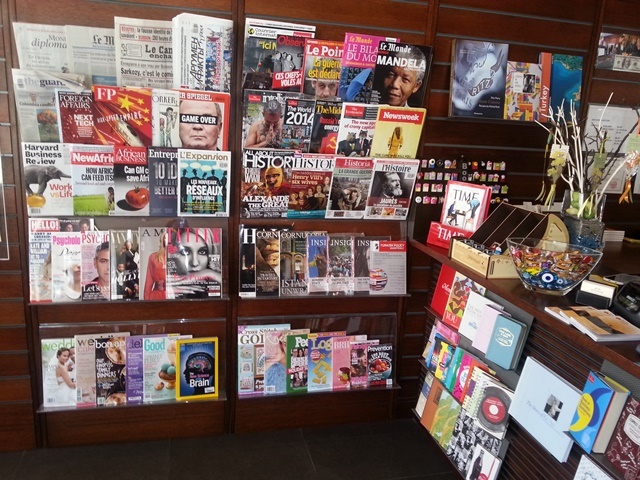 In addition, BOOKISH carries a large selection of English language magazines. So whether you are craving a taste of Bon Appetit or living in a 911 & Porsche World, BOOKISH has the magazine for you! If you have any questions, don’t hesitate to ask the staff. The stop will be celebrating its 3rd birthday in May. 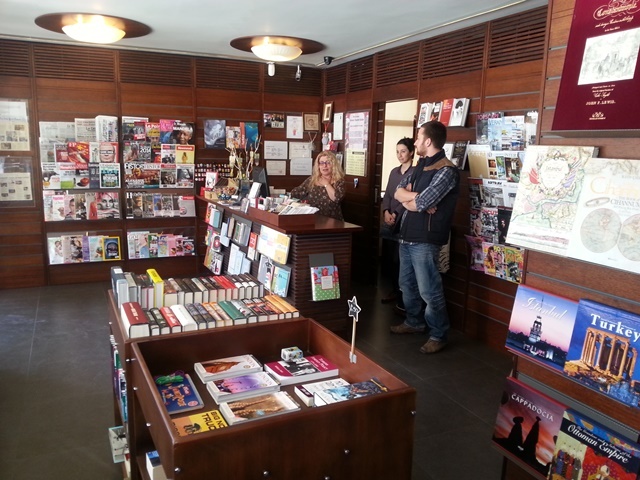 They all speak English and are very friendly and knowledgeable. If you are going, tell them you read about it here! . . felt a similar reaction when we discovered Homer Kitabevi right beside the Galatasaray School in Istanbul. Not as big and classy as your find but a little oasis whenever we visit the big city. I hope to check it out when I am in Istanbul again. Thanks Alan! There is a branch of Homer in Bestekar if I remember correctly (just opposite Balcón), definitely check it out, it is also a very nice bookstore full of English-language books. 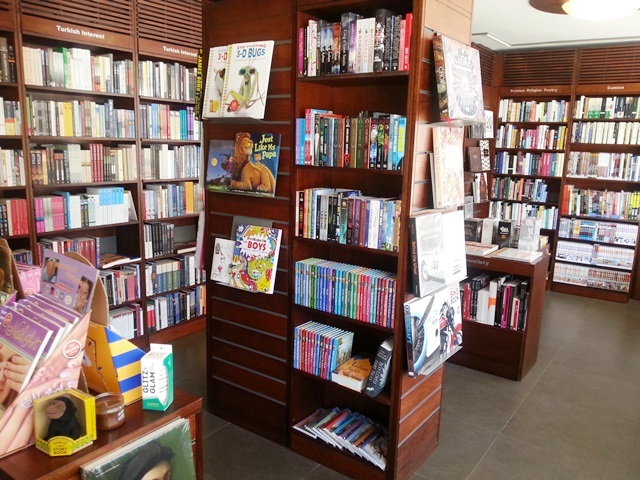 There are mostly history books, but it also has good selection of novels and children books. 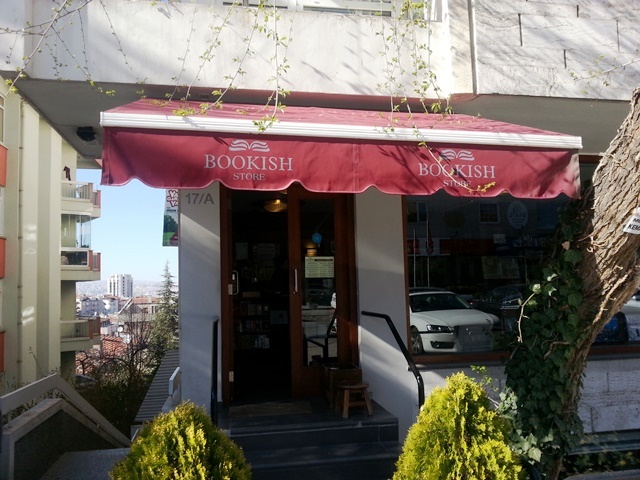 Bookish was one of my favourite bookstores when I was in Ankara. Thanks Reyhan. I couldn’t remember that name and went looking for it — on the wrong street! Great find,Terry! I have walked past this shop but never dreamed it would have books written in English, so I did not go inside! That will change ASAP! Can’t wait to go explore Bookish! Hi Ada! You should definitely go! I should add that most bookstores here have an English section. They just don’t have this variety. So stop in all of the book stores! A good find. I was surprised that the section under “Turkish Interest” on their web site was empty. This sounds absolutely wonderful, Terry! Wow!